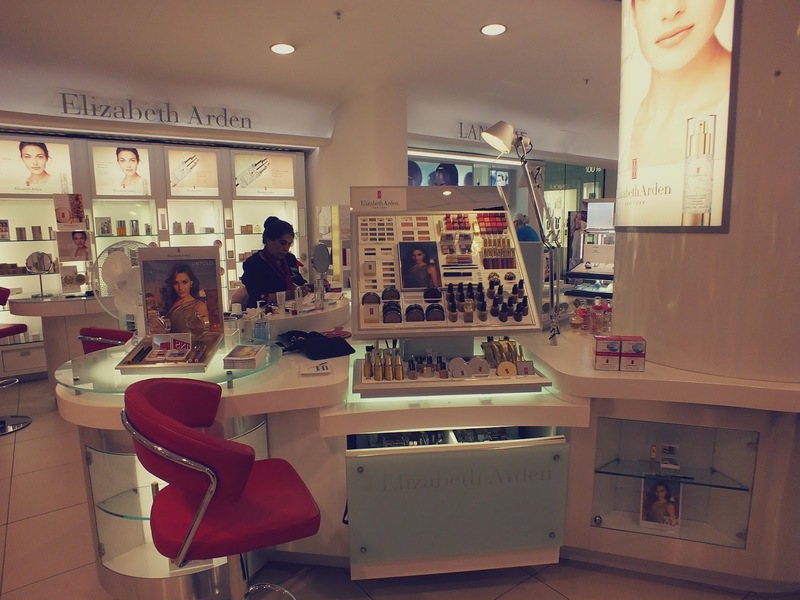 A few weeks ago, I was invited down to my local Elizabeth Arden Counter at Debenhams in the Bullring to test out their new skin scanner and foundation matching service. 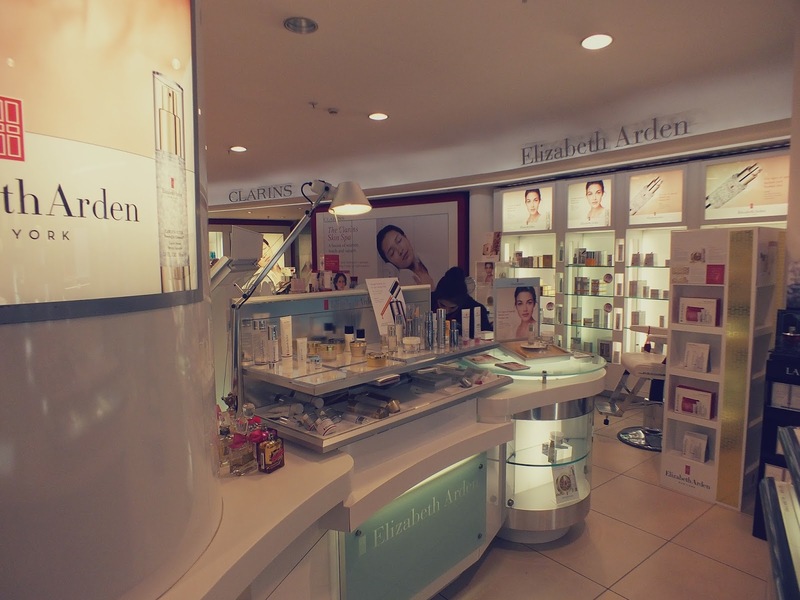 I actually use some of the Elizabeth Arden skincare range myself, so I was excited to head down and see if I was using the right kind of product for my skin and also to see how well I have been doing with keeping on top of my regime! 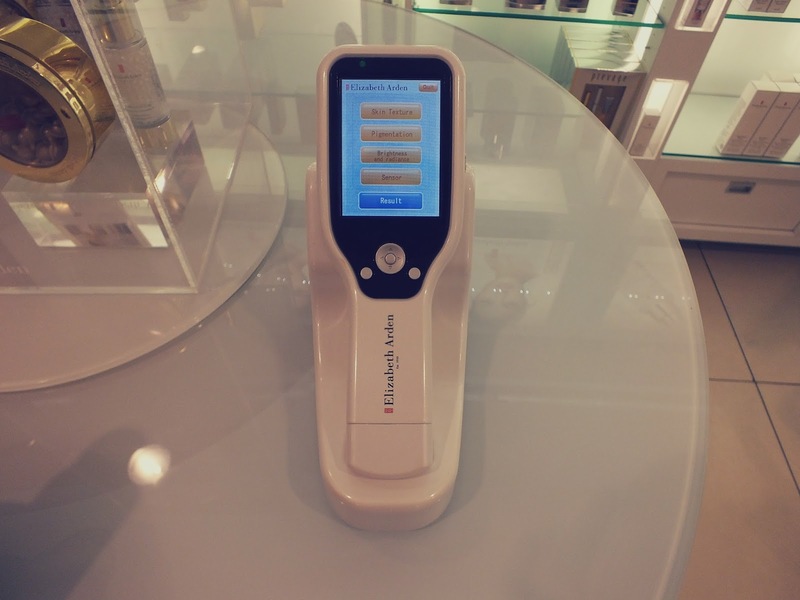 Ever since the Elemis event back in July (you can read all about that here! ), I have been trying to make a real effort to put some time into looking after my skin and I can really tell the difference so I was hoping you would be able to see that difference in my results too. I was greeted by the lovely Bal who sat me down and explained a little bit about the skin scanner and how it works. By taking an image of your skin this nifty little gadget can measure your skins moisture, texture, radiance/brightness, pigmentation and elasticity, phew! So how did I do? Well all in all it was a pretty good result. I scored a B grade on the majority of measures including radiance, pigmentation and texture, however I slipped into the C grade in terms of moisture – which means my skin is a little bit dehydrated! (Definitely need to try and stick to that two litres a day thaaang!) Impressively however, I got an A grade and a score of 92 for my elasticity which means you aren’t gonna be seeing any wrinkles around here any time soon – wahooo. Bal then gave me a mini facial using products she would recommend for the type of skin I was shown to have – the majority of products she used were taken from the Visible Difference range which is tailored to combination skin. Bal first cleansed the skin using the Gentle Hyrdating Cleanser and Gentle Hydrating Toner from the range, before popping on the Optimising Skin Serum and the Brightening Eye Gel. One handy tip Bal gave was to use a thicker moisturiser in the evenings, as this will work to rehydrate my skin during the night – she recommended the Eight Hour Cream, which is the wonder product that Elizabeth Arden is known for. 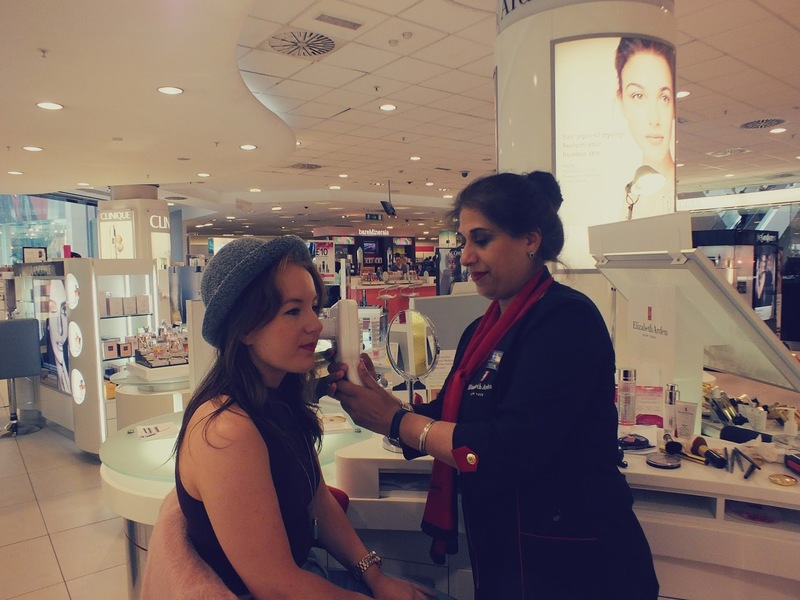 To finish off, I was treated to a mini makeover so I could test out their super snazzy foundation matcher. Bal placed the matcher up to my skin and it registered that I should use the shade Gentle Beige. We both thought that maybe the reading had gone a bit wrong because the shade looked really dark but lo and behold it was perfect! I completely fell in love with the Flawless Finish Sponge On Cream foundation – it was such a gorgeous texture and felt like a dream on my skin. 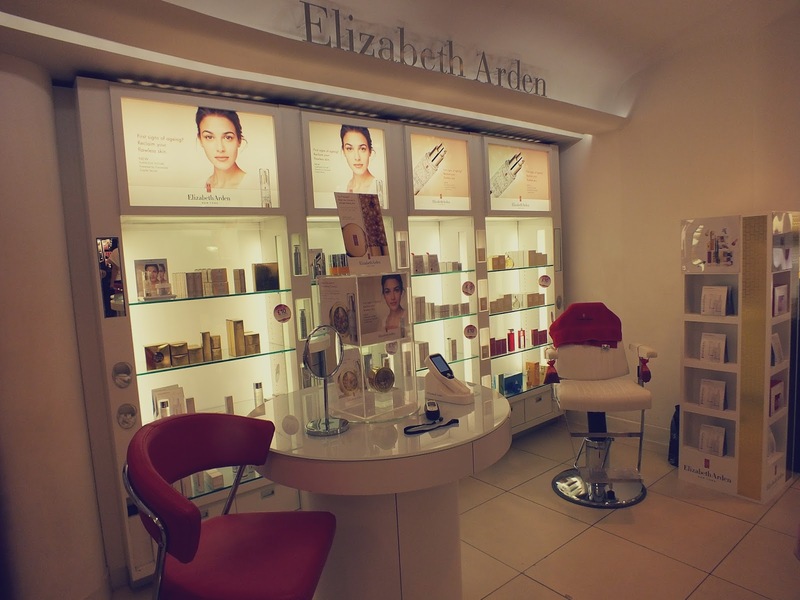 I loved trying out the new services available at Elizabeth Arden and it was so useful to find out which aspects of my skin are okay and which bits need a little bit more TLC! There are also some really exciting events coming up on the Debenhams, Bullring concession including a visit from world famous make up artist Joseph Hernandez on the Thursday 9th October, where he will be offering makeovers and expert advice! Has anyone else ever tried a skin service like this? I feel like I have come a long way since throwing out the dreaded make up wipes!